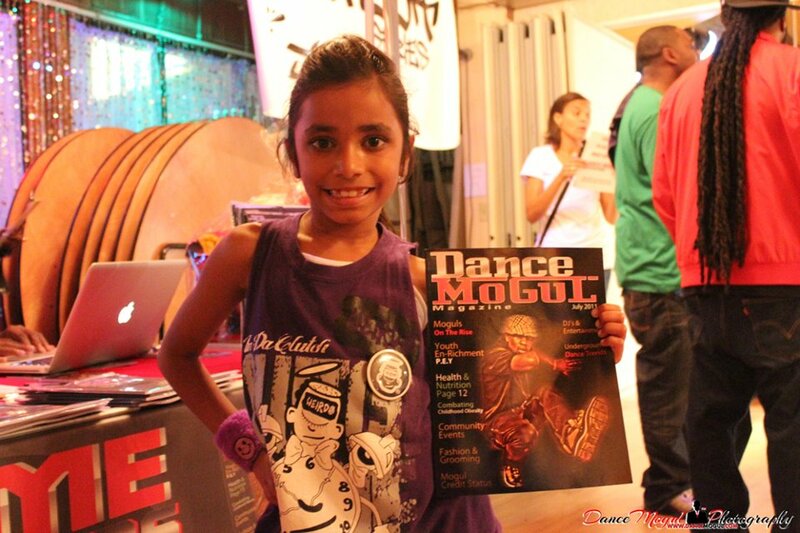 Dance Mogul: What was the workshop like? 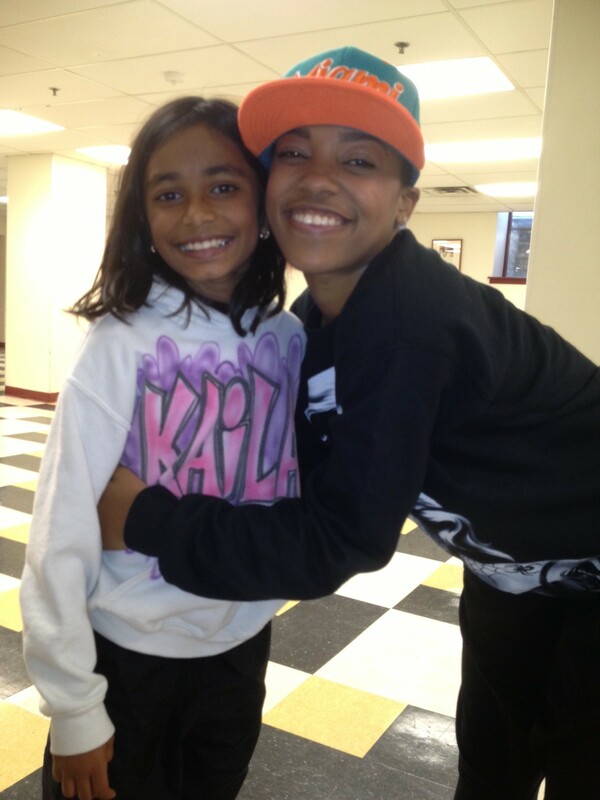 Mrs.Sheth-Fontanetta: On October 7th we attended the 8Flavahz workshop with our daughter Kaila Fontanetta (aka Tiny) which was lead by Kaelynn Harris and her friend Deja.The workshop started about 10 mins late but the team of adults that worked with Ms. Harris were professional and ensured that the workshop was extended for those extra 10 mins. Once we entered the facility at the Rowan house in Philadelphia , PA where the workshop was located, it was required to knock and present your need for attendance before entering. We were greeted by the girls Body Guard who was extremely professional dressed in style and manner. We than approached the sign in desk. Two of the staff members took our information for our daughter, asked her age, and if she would be joining session 1 or 2 or both. The fees were extremely reasonable at $10/session. Although the location was not fancy it was large enough to hold the venue and ample room for parents to attend to their child while still being able to observer the workshop. I believe parents were charged $10 as well. 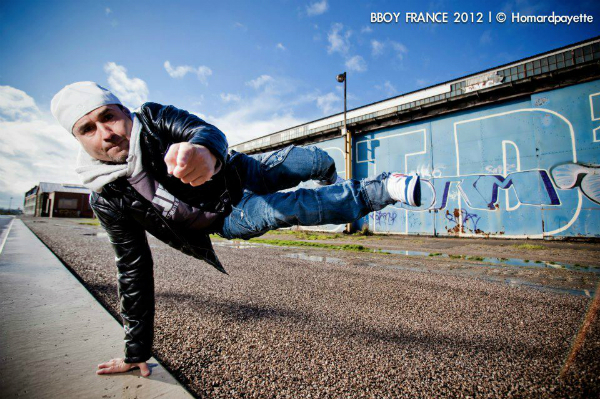 Dance Mogul: Why do you feel the workshop was necessary to go to? 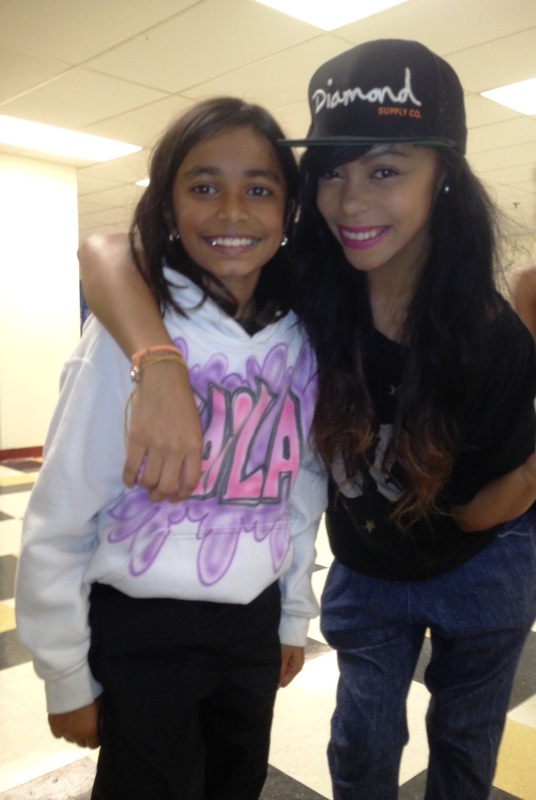 Mrs.Sheth-Fontanetta: I have a 10 year old daughter who has a great appreciation for these young girls from ABDC and specifically 8Flavahz. She has followed them since they came into the media and she learned about them. Young girls with whom she could easily related to who aspired to “make it” in this industry. This opportunity couldn’t have come at a better time for her. She more recently has become an independent student of the arts where we have our constant dance classes / dance crew which she works with , and now continuing to broaden her knowledge by multiple workshops across the tri-state area. To have our daughter dance with one of the members of 8Flahvaz allowed the concept of her goals to be one that was idolized to one that could be attainable .One other key reason for us as parents to feel this was necessary was to learn a different style of choreography. Sometimes the kids see shows on TV and they think wow that’s easy , or I can do that; well with out a doubt we encourage our children to try it , and give positive enforcement. This workshop put the pedal to the medal for her. She is great at what she has learned , but she needed to also learn there is always room for improvement and growth. This workshop inspired her to want to keep learning many styles within the hip hop /house genres of dance. Dance Mogul: How is it as a parent traveling to insure that your daughter reaches a level of success that you both desire? Dance Mogul: Are 8 Flavahz good teachers to be so young? Mrs.Sheth-Fontanetta:Absolutely.Idealistic views of her Dance Icons come of her own goals to one day become attainable . Kaelynn broke down the steps , for the attendees and was able to manage and keep the pace active and informative through out the session. She even encouraged the younger kids to move up so that they could see. Kaila had done this and at one point she was dancing directly facing Deja and Kaelynn and was so in the clouds of excitement she ran over at break and hugged me and said thanks mom. At each point where they would learn 4 8 counts, than Kaelynn would split the kids into groups. There were about 4 Groups, each would come up and dance with Kaelynn and Deja in clusters. This not only brought some of the shyness out of some of the kids but encouraged them upon completion. At one point I remember a young boy saying its to fast and the perfect response was provided do your best – you are all doing great ,and just have fun – and they took the request and did slow down the pace enough where the more experienced clients were not bored and the younger generation were able to keep up. The kids really liked at the end of the workshop the cypher was created and it was the members of the class who actually came out to strut there best. to attend there next one in October in New York City.My daughter would like to pursue opportunities as a choreographer/Teacher and to see Young artists such as Kaelynn manage the class was an inspiration to her and certainly quite impressive to many of us parents.